Is this book as amazing as Beloved or Wolf Hall? No. But it is sensitive and lovely and so much fun in so many ways. And "youth"? Stephanie Danler must have been taking notes all along. Sweetbitter has bite. Our heroine, Tess, moves from nowhere to New York, where her life is going to officially begin. Yes, she's had a childhood and been to college, but none of that counts. Nothing starts counting until she crosses the river and starts working at a restaurant downtown. While she's there, she falls in love and obsession, she finds a life, and starts to find herself. 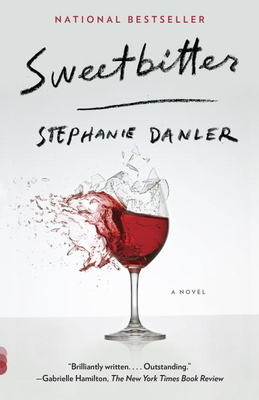 The writing is sharp, and the story is fierce and electric, like you have to read carefully or you might hurt yourself. Even still, I could not stop.